It's hard to resist a great summer party. It's even harder when you receive one of our sensational summer party invitations in the mail! The sun is shining, the temperature is hot, and gathering your closest friends and family is the right recipe for fun! It's the time of year when you find yourself wanting to soak up every last drop of the day, the warm sunshine kissing your skin, poolside parties and themes created all around flip-flops and flamingos! Oh my! Nothing comes more easily than a Summer Party. Anyone else feeling like chilling out? Heck yeah, bring on the good vibes and all day fun in the sun. There's no end to the inspiration we find, tart lemons and pink parasols. Squeeze all of your guests into your backyard for a flamingle fest. Incorporate flamingo straws, and don't forget the blow-up pool toys to use as photo booth props. Coordinate your party with the fruitful colors of the season, bright yellows, hot pinks, lime green, the decor can be just as delicious as the drink bar. So dive in and drink up as the fun has just begun. Whenever we think of summer, we picture palettes of quilts lining the lawn, strands of lights hanging from the towering trees, jars of spiked lemonade or just a good old fashioned local beer. Sitting back on the lawn, go big and put on a show for your guests by pinning a screen and playing a movie from a projector, many local libraries will rent one to you, but you will probably love it so much, you will want to buy your own. Here at Polka Dot Design, we have a superb arrangement of pool party invitations and beach party invitations, perfect for your next summertime soiree. It's time to inflate those tubes, bring out the sunscreen, and get that BBQ grill lit! If you're more of "shaka" soul then good news, surfs up! Start with a modern endless summer invitations. Then, on party day set up a "sweet shack" for your guests. If you don't live by the beach, bring the beach to you. 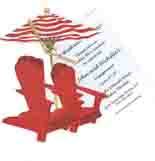 Set up beach chairs and coolers around piles of sand you bring in. Your guests will be so happy to be land-locked at your place for the night. Having a beach bash is super easy, keep it simple and light by having a backyard grill going with fun colorful snow cones for dessert. Surfs up dude. Perhaps you're itching to throw a fantastic party but simply are in need of a few summer party invitation ideas. In that case, we're here to help. Polka Dot Design takes the invitation process a step further, by creating certain theme-specific invitations, which can enhance any summertime gathering. Take our luau invitations, for example, a unique twist on an original idea. Or perhaps you're narrowing down a date and need a few 4th of July invitations. No matter your needs, we have you covered. Don't let your summer end without hosting at least one summer time party, whether it's a chic and eclectic dinner party with sparkling sangria. Don't let hosting a party get you buried, keep it light, keep it outdoors so you don't have to worry about cleaning up your entire house! Juggling life and all of it's responsibilities can really take its toll. So that's why it's essential and quite frankly, necessary to make those magical moments happen not just for you but for your dear friends and family. Take every opportunity to surprise your guests with unexpected details. Take a quick trip to your local world market store and fill your basket with quirky mascots for your shindig and little favors so that you can send good vibes home with your party guests. Let summer's siestas remind you that slowing down and celebrating is one of the most memorable things you can ever do for your loved ones, so dive in and plan that sweet summertime party, after all, summer lovin' happens so fast. Get it while you can!